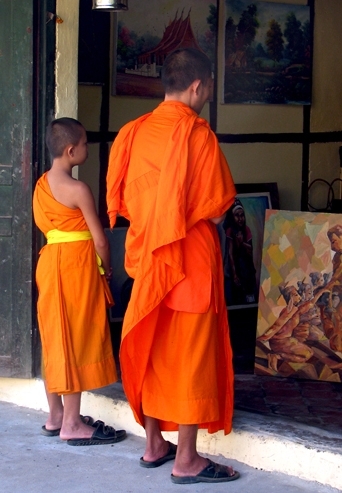 The photos in the slide show above are examples of photos from Laos pages. Laos has an area of 236,800 km2 and is the only landlocked country in Southeast Asia. It has borders to Thailand to the west, Vietnam to the east, and Cambodia to the south. 69% of the country's 6 million people are ethnic Lao, the principal lowland inhabitants and the politically and culturally dominant group. 44% of the population live below the international poverty line (of the equivalent of US$1.25 a day).